Manuel Oliver, whose 17-year-old son Joaquin Oliver was killed during the Parkland school shooting in February, placed the bulletproof vest on the "Fearless Girl" statue in the hopes of promoting sensible gun laws ahead of Tuesday’s elections, according to a statement. 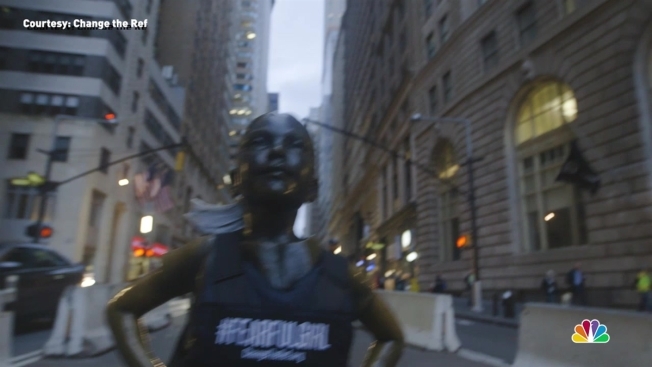 Draping a bulletproof vest over the “Fearless Girl” statue in New York City Friday, a Parkland father sought to spread a bold message: “Fearless Girl” was suddenly #FearfulGirl, protected only by the bulletproof attire she donned. 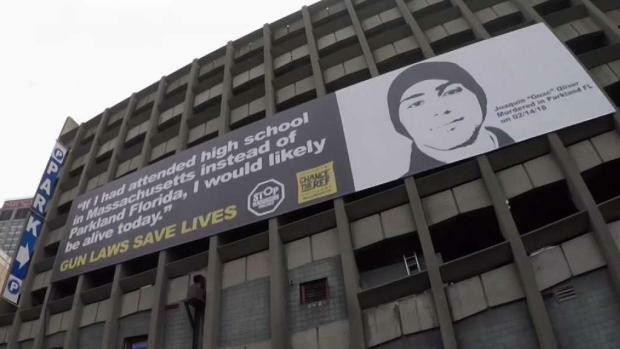 Manuel Oliver, whose 17-year-old son Joaquin Oliver was killed during the Parkland school shooting in February, placed the vest on the statue in the hopes of promoting sensible gun laws ahead of Tuesday’s elections, according to a statement. “The Fearless Girl is undeniably brave, but bravery isn’t bulletproof,” the statement read. The bronze, 50-inch-tall Fearless Girl statue was installed in front of Wall Street’s charging-bull statue just before International Women’s Day in 2017. State Street Global Advisors commissioned and placed the statue, according to the Wall Street Journal. “Change the Ref” partnered with nonprofit “Fighting Gunfire With Fire” on the project. University of Alabama advertising students MK Holladay, Emeline Earman and Mingyu Jo came up with the idea, which grew into #FearfulGirl, according to the statement. #FearfulGirl is the latest in a series of art installations Oliver has made to protest gun violence. In May, Oliver depicted President Donald Trump as a ringleader of a circus outside the annual National Rifle Association convention in Dallas, Texas. He also produced the "most extreme Back to School fashion show ever" during New York Fashion week, where school-age models donning helmets, bulletproof vests and caution tape paraded in Times Square. Last week, Oliver created a 3D sculpture of his late son to illustrate the need for regulations on 3D-printed guns.